Over the years, users have clamored for a Facebook “Dislike” button. Now, finally, we know how Facebook feels about the request. Facebook Loves it with a big red heart. Or finds it Funny, with squinty-eyed, open-mouthed, laughing mirth. Or Facebook finds the requests Surprising with open-mouthed “Wow!-ness”, or with one-tear-rolling down the cheek Sadness, or with orange-forehead glowering MADNESS!!! Yes, that’s right – rather than a simple thumbs-down Dislike button, Facebook is testing a set of six additional emojis that, at this stage, line up as options next to the standard “Like” button. According to a posting Mark Zuckerberg made on his Facebook page on Thursday, the emojis are “Reactions” that line up next to the plain old Like, signifying Love, Haha, Yay, Wow, Sad and Angry. For many years ... people have asked us to add a "dislike" button. Not every moment is a good moment, and sometimes you just want a way to express empathy. These are important moments where you need the power to share more than ever, and a Like might not be the best way to express yourself. At a Q&A last month, in response to yet another question about the Dislike option, Zuckerberg said that Facebook was working on getting some more nuance into users’ hands beyond the Like button. The company started to test what it’s calling “Reactions” on Thursday, rolling it out first to users in Ireland and Spain. To use the feature, you long-press the Like button until the six Reactions pop up, and you choose one from there. Posts will reportedly show reaction counts alongside the number of comments: for example, 10 Loves, 4 Yays. In retrospect, the introduction of emojis and the shunning of a thumbs-down button isn’t surprising. Plenty of users have, reasonably enough, wanted an option besides Like, given how inappropriate a reaction it can be to posts regarding tragedies or sad events, such as the deaths of loved ones or the refugee crisis. Users want to show support, but pressing Like on such a post is obviously inappropriate. Since Zuckerberg publicly said that more options were in the works, his official Facebook page has been flooded with thousands of comments about the dislike option: many have been pro-Dislike button, but others have said that it would lead to cyberbullying and negativity. Please don’t put a dislike button, as much as there is times I would love it, would much rather express my thoughts in words to be completely direct on my opinion. While the emojis aren’t a dislike button, they will give users “the power to easily express sorrow and empathy, in addition to delight and warmth,” Zuckerberg said. Keeping a Dislike button out of users’ hands won’t prevent bullying, by any means. Facebook, like many social media networks, has a long history of being used as a platform to torment people. You don’t need a Dislike button to post vicious things about people in plain old text comments, after all. Facebook has done commendable work to battle cyberbullying, including rolling out a Bullying Prevention Centre in the UK and Europe last year – a culmination of years of work by Facebook engineers and partners at the Yale Center for Emotional Intelligence. Mark Zuckerberg’s network has proven itself to be a bit tone-deaf on some issues though, including its real-name policy. It’s also, of course, had a spotty history when it comes to the occasional security and privacy glitch. But overall, Naked Security gives Facebook the thumbs-down far less often than we once did. Of course, many of our readers would rather douse their keyboards with glue than ever log in to a Facebook account and risk whatever privacy incursions or utter waste of time would possibly occur therein. But for the rest of us, keeping Facebook thumbs-down-free is, in my opinion, a welcome way to at least try to keep the bullying at bay and the positivity up. For that, I’m giving the company a thumbs-up. If you want to emoji your own thoughts on the matter in the comments section below, go right ahead: we always ❤ to get your take. We are seeing amazing advancements in healthcare technology, everything from enterprise cloud software to nanobots. Is healthcare finally catching up with the times? New startups and fortune 500 companies alike, are in a modern-day health care gold rush, with everyone trying to stake their claim. What are your thoughts on promising healthcare technologies coming out this year and in the future? To those that embrace the future, here are the leading health care technologies to look forward to. Although nanobots are far from being utilized today, but the future is coming where these tiny robots can function like our own white blood cells and destroy bacteria and other pathogens. These miniature robots would function like their full-size equivalents with their own sensors, and propulsion systems and could perform small tasks like delivering chemotherapy 1000 times more powerful than using drugs and would not cause as many side-effects to patients like the current treatments do. Other specific types of nanobots that are being developed are Microbivore, Respirocyte, Clottocyte, and Cellular repair nanobots that can destroy bacteria, carry oxygen, create blood clots for wounds, and repair cells. Ever since the dawn of man, we have all wanted to live forever, and one day that may become reality with companies like Google and Brainpreservation.org looking for ways to extend life by curing disease, preserving our brains in stasis, or saving them on computers or another brain. While it may seem strange for a tech company like Google to join up and fight the healthcare battle, it makes sense that their CEO Larry Page may want to improve his life and other’s around him and so they can solve life’s other tough challenges in the years to come. Currently there are three methods cryopreservation, chemopreservation, and a hybrid approach that uses a blend of both methods. If Moore’s law holds, within a few decades, a supercomputer might be able to simulate a human brain at neural level at faster perceived speed than a biological brain. However, the exact date is difficult to estimate due to limited understanding of the required accuracy, and computational speed is not the only requirement for making full human brain simulation possible. A full brain map has been estimated to occupy less than 2 x 1016 bytes (20,000 TB) and would store the addresses of the connected neurons, the synapse type and the synapse “weight” for each of the brains’ 1015 synapses. However, the biological complexities of true brain function (e.g. the epigenetic states of neurons, protein components with multiple functional states, etc.) may preclude an accurate prediction of the volume of binary data required to faithfully represent a functioning human mind. Copying one’s human brain to a computer or host may still be many decades away due to the massive amounts of nerve cells called neurons, 85 Billion to be exact and the complexity of mapping each connection, but that is not stopping current researchers from mapping the C. Elegans roundworm. This worm was the first organism to have its genome sequenced, and the first to have its entire brain mapped. It is largely hermaphrodite, with 959 cells each of which has also been mapped. Its network of 302 neurons connect via 6393 synapses – its connectome – and link to the worm’s 95 muscles at 1410 junctions. Independent researcher Tim Busbice has already created a digital copy of the worm’s brain with the data from the Openworm project and created an avatar to host the animal with wheels for muscles. Another doctor by the name of Dr. Sergio Canavero believes that it’s now possible to slice the head of off one person, stitch it to the decapitated body of another, and then reanimate the two-human mash-up. What’s more, he says the first head transplant operation could come in two years, New Scientist reported. We all know that visiting a hospital is no thrilling experience, but companies like NXT Health are looking change the way we experience treatment in our rooms. NXT Patient Room 2020 from NXT Health on Vimeo. The goal with the modernized room design are to improve the interoperability of the systems in order to eliminate the wasteful redundancy and technological clutter that plague many modern healthcare facilities. In order to facilitate changing technology and the dynamic needs of healthcare systems, the space features a pre-fabricated, modular system of interchangeable parts that allow adaptations to occur with a minimal impact on facility operations. Additionally, the technological touch points that are woven into the concept empower patients to have a sense of comfort and control during the medical experience by empowering them to connect with remote loved ones, collaborate with caregivers, and adjust various environmental features. See the NHS, Stanford Hospital or Ottawa Hospital for practical examples. And companies such as the recently launched Calico from Google will make attempts at reaching these goals. Roswell Park Cancer Institute is quickly becoming one of the leaders in surgical training, thanks in large part to a creative collaboration between University at Buffalo’s School of Engineering and Applied Sciences and RPCI’s Center for Robotic Surgery . Surgical procedures have always required years of training, and until recently most of that training is done in a live environment. No sane person would climb aboard a commercial airliner if we knew the pilot was currently training on his or her first flight. We like to think of pilots as highly seasoned and experienced professionals. Many pilots first learn how to take the controls in realistic simulated environments, they learn how to fly without ever touching a flight control. We should treat surgery the same way, and we should expect that getting rid of the kinks has already taken place. RoSS (Robotic Surgery Simulator) is changing the way surgeons hone their craft. Allowing real-world views of actual surgeries can give aspiring, practicing, or professional surgeons the chance to experiment and get it wrong in a simulated environment. More importantly, it gives these surgeons the tools they need to get it right when the time comes to perform surgeries when lives are at stake. Although this specific tool has been around for a little while they are now being produced by Simulated Surgical Systems. Soon we may see productive alternatives to real-life surgical practice around the country. One area that can help dramatically is the ability to input data without actually touching physical devices such as keyboards, the mouse, etc. I remember last time I went to the dentist they put their gloves on as standard procedure and checked my teeth, but as they reached for the keyboard to input their findings they touched the mouse and keyboard which had no disposable cover. The main issue is that these input devices are swiped with a disinfectant cloth but are not cleaned properly. Imagine how many germs from 100’s of patients are collecting in the crevices. A holographic data input like a keyboard or mouse may help reduce the amount of infections people are exposed to. Some people may say this does not feel natural and like the ability to physically touch keyboard keys or other inputs so a company out of Tokyo, HaptoMime, uses reflective surfaces to create a floating virtual screen that you can actually feel. The technology is in its infancy but may hold some promise. If you are looking for a very simple virtual keyboard, you can already purchase one on Amazon. Another application for holographic imaging is to provide physicians with a comprehensive view of the procedure details as seen in a short video below. Building a new medical or dental business today, or maintaining relationships from your current network of referring providers is hard enough, and it is even more so when almost 100 percent of the healthcare system still relies on referral pads as one of the main sources of outreach to find and educate their network of services available at their facility. As it stands today, a provider that wishes to grow their network will hire staff or an outsourced marketing company. They then create a referral pad with questions specific to every specialty in their organization and go door to door trying to build relationships with other providers, in hopes that they generate an increase in referrals. This is changing with applications like referralMD | Physician Referral Management Platform In the Cloud, that help providers create the referral letters digitally and allows the organization to promote themselves to millions of patients and other providers looking for treatment options. Gone are the days of a Primary Care doctor calling a specialist and saying “Can you get in the car and deliver more forms so we can send you a referral” or having the PCP maintain 100’s of paper forms in their back office for every specialist they work with. The current method of using paper causes upwards of 50% of patient referrals to never result in a doctor’s visit. This huge gap in care causes patient’s to lose treatment, the healthcare facility to lose money, and increases the potential of malpractice lawsuits due to improper hand-offs and lack of audit trails. Consider this the next time you use a referral pad. No one likes needles, especially when you repeatedly have to get pricked by an inexperienced phlebotomist. Great news! Companies like Theranos have designed away to run tests with micro-samples of blood, 1/1,000th the size of a typical blood draw. The benefits are a better patient experience, but also a cost reduction in lab fees, which can be substantial. One of the most common blood tests is the complete blood count (CBC) which assesses the cells in blood. It is not, as the name suggests, a test which completely tests everything in blood. It looks mainly at the three main types of cells in blood – red blood cells, white blood cells and platelets. Alternatively known as a “three parent baby” this process helps eliminate a variety of potentially fatal diseases like heart and liver failure, and deafness. Although many ethical and moral questions surround the recent U.K. approval of this process, the potential implications for future generations is boundless. Mitochondrial DNA Transfer is when two parents contribute normally to an in vitro fertilization and a third-party contributes the mitochondrial DNA. The first two successful transplants of mitochondrial DNA occurred in the late 90’s as a result of fertility experimentation for previously unsuccessful couples. The reason this makes the list for 2015 is that these procedures are becoming recognized for the potential that they may deliver. The reduction of gene related diseases may mean longer lifespans, improved health, and even the elimination of certain diseases. This process may also enable couples to conceive children who without it would never have the possibility. As these procedures are perfected and the science becomes more transparent the usefulness of this technology only grows exponentially. The moral and ethical implications may lead to a platitude of arguments in the future, like whether or not designer babies will become a normal wealthy indulgence. Because these arguments exist, the rest of the world may experience a delay in acceptance of procedures like these; however, the potential benefits are likely to greatly outweigh the few extravagant outliers that always seem to expose themselves. Stem-cells seem to have fallen from the spotlight in recent years, a few fraudulent claims and a variety of government hurdles has dampened these research fields in the United States. Finally some approved practical applications have started to surface in a variety of different fields. Recently Dr. Rey has been spotted claiming that the majority of his breast augmentation surgeries are now performed by injecting stem-cell enhanced fat into procedure areas. The use of stem-cells for a variety of augmentations is starting to replace lipo-filling, which is the practice of removing full fat cells from one part of the body and transplanting them to another. This type of procedure can be used to help fix facial deformities, recover tissue lost due to cancer, and a wide variety of other necessary plastic surgeries. Many scam based claims have been made by less than reputable service providers that stem cells can have glorious results for somewhat common procedures. Unlike those claims, using stem-cell augmented fat cells has been proven. In a study performed by Copenhagen University stem-cell enhanced fat cells retained 81% of initial volume through four months, in comparison with only 16% mass retention when lipo-filling alone is used. The exciting part about this advancement is that stem-cell enhanced fat cells can be used in so many different environments, and the accepted uses of this technology will only grow as more benefits are uncovered. Replacing invasive surgeries with something much less complicated reduces recovery times and lessens the likelihood of mistakes and unforeseen complications. Perhaps the most visually impressive display of healthcare technology innovation is the video of Les Baugh controlling prosthetic arms with his mind alone. Through extensive research on the way Les’ mind controlled his limbs, researchers were able to determine how mind managed these connections. With that research they were able to develop a technology that would read his brain activity and send the signals to sockets that controlled the motor functions of his prosthetic limbs. An exciting technology spearheaded by an exciting pioneer, Mike Mclaughlin likens the current stage of this technology as the beginning of the internet. Funded by DARPA, Johns Hopkins Applied Physics Laboratory is being tasked with creating naturally controlled artificial limbs – which we can see is already becoming a reality. The reality of this science is that all of our lives will be changed, weather we know it now or not; just like the beginning of the internet when no one believed it would be useful, this will change the course of history. Samsung Knox – masterpiece of innovation! Tecno has launched its first 4G enabled smartphone the Phantom 5 in Kenya in a quest to defend its market share. The company is striving to beat giant manufacturers in the country by taking advantage of the 4 million smartphone users. As of now, Tecno has 18.5 percent market share in Kenya making it second in Kenya after Samsung that has 60 per cent market share. According to the statistics, the chinese company is still struggling in Kenya. “Our new vision is to produce 4G enabled devices that will keep our markets connected to the fastest network. We are looking to scale up in the next few years considering Africa is a fast developing continent” saidHanane Karroumi, Tecno mobile media manager. 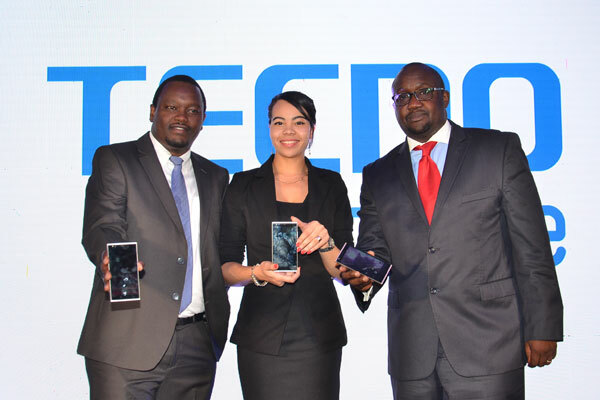 Tecno is looking to leverage on the growing dependency of smartphones by consumers who depend on it for literally everything: From getting directions, recipes, communication, information on what to buy, where to buy it and the list goes on. Of the 26.1 million mobile phone users in Kenya, 99.9 percent access the internet through their phones. By mid this year, sale of phones clocked 58 per cent with an estimated 1.8 million devices being smartphones. The internet penetration stood at 58 per cent putting Kenya top in the African region. Tecno’s Phantom series is intended to cut across the business person and the normal consumer looking for a trendy device. The series however does not represent the best selling device. Launched 3 weeks ago, the Tecno Camon C8 has registered as the best selling device in the country. The device that targets the mid range market has thus far sold 4,000 pieces making it a giant competitor in the market. Tecno has denied following the market trend of consecutive device launches arguing the trend will only confuse the consumer. Also, too many devices in close intervals will cause a backlog in the market making it difficult for pricing. Tecno Phantom 5 is the latest addition to the Tecno’s top of the line Phantom family. The Phantom 5 is more or less a successor to the Phantom Z featuring a 5.5-inch full HD display, 3GB of RAM, a fingerprint sensor, super fast 4G LTE, and a long awaited upgrade to Android 5.1 (Lollipop). Tenco Phantom 5 has no doubt dethroned the Phantom Z as the new king of the prestigious Phantom range with its impressive lineup of specs. The Tecno Phantom 5 offers premium design and performance at a more affordable mid-range price. The smartphone comes with a metallic finish and is super slim at just 6.8 mm. 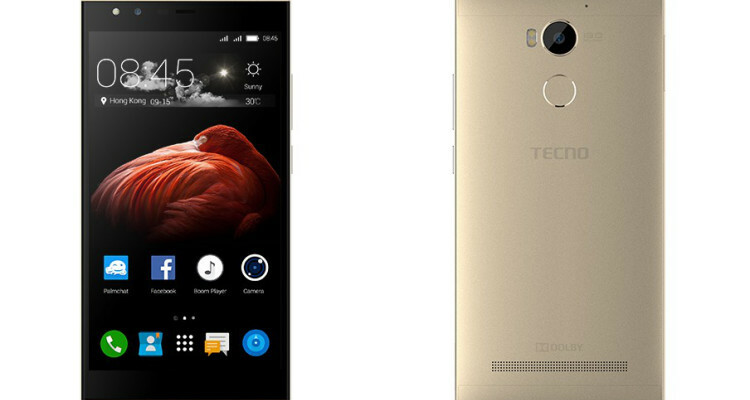 Tecno Phantom 5 will be available in Champagne Gold and Space Grey. Tecno is putting a bigger screen on the Phantom 5. The screen is moving from a 5.2-inch display to a 5.5-inch display, which offers more real estate for your content making it great for watching movies, playing games, and browsing the web. However, it still retains the 1080 x 1920 pixels resolution of its predecessor, which at 400 pixels per inch is still very impressive and should offer a solid viewing experience. Tecno Phantom 5 seems to be getting a down-grade in the camera department. While the Phantom Z offered a 16 megapixels camera, the Phantom 5 is dropping to a 13 megapixels camera. The camera still offers dual-LED Flash. Tecno Phantom 5 maintains the 8 megapixels front facing camera, which should offer great selfies and wefies. Tecno Phantom 5 runs Android 5.1 (Lollipop) on a 1.5GHz octa-core processor with an impressive 3GB of RAM. With these impressive base we expect the smartphone to run smoothly. One great feature of the Phantom 5 is the introduction of a fingerprint scanner. According to Tecno the scanner enables you unlock your phone in less than a second (700 millisecond to be precise). The fingerprint system can stores up to 10 fingerprint. 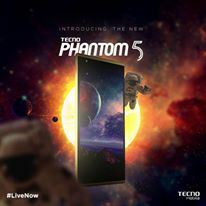 Tecno Phantom 5 is now available in Nigeria. You can buy the smartphone at leading online stores in the country. Tecno Phantom 5 Price in Nigeria ranges from 69,900 to N85,000 depending on your location in the country. On topics from artificial intelligence, to affordable housing, to healthcare and video, Facebook FB +0.00% CEO Mark Zuckerberg is never at a loss to offer a forward-looking perspective. Video and VR are the next frontiers of communication: Zuckerberg said he expects society to enter the ”golden age of video” over the next five years. Then, he thinks virtual reality, or VR, will be the dominant medium for sharing experiences. He also predicted that in 25 to 35 years, people will be able to directly communicate their thoughts with each other. Facebook bought the VR headset maker Oculus for about $2 billion last year and plans to begin selling the immersive devices during the first quarter of next year. Facebook won’t live forever: Zuckerberg said that no company lives forever, and he doesn’t expect Facebook to. Rather, he said Facebook’s goal is to make the right choices in the present to execute its long-term mission to make the world more open and connected. “I’m confused by companies and organizations that have the goal to exist forever,” Zuckerberg said. Facebook will host another Q&A session at its headquarters on Sept. 27, featuring Indian Prime Minister Narendra Modi. Zuckerberg said in a Facebook post that he first met the leader in India last year. The colourful event was spiced with the presence of entertainers including, Chocolate City Rapper, M.IAbaga and Chuddy K.
The room was packed full with an audience that included those from the media, TECNO employees as well as Winners from the Phantom contests and also those who visited TECNO’s dedicated Phantom 5 microsite and built their preferred Phantom. Mr Louis Njoku, (SON), Mr Yakubu Consumer Protection Council (CPC). Chidi Okonkwo, MD TECNO Mobile Nigeria, gave a welcome speech that fully narrated how TECNO has grown in Nigeria and what it seeks to achieve in the market. According to him, TECNO has proven that great technology doesn’t have to cost the world. Octa-core processor and 3GB Ram, and it possesses a metal body. Successful entrepreneurs are either crazy, risk-embracing visionaries unafraid to gamble everything to bring their radical innovations to life, or they’re not. Owning your own successful business does require a bit of an independent streak perhaps, but what you really need are a broad set of skills, a good deal of relevant experience, and a willingness to try and try again. There are probably as many reasons why people want to be entrepreneurs as there are new businesses launching, and while your journey will ultimately be unique to you, it can be very helpful to understand what motivates other like-minded travelers — what their challenges and opportunities are, and how they rise above the former and take advantage of the latter. 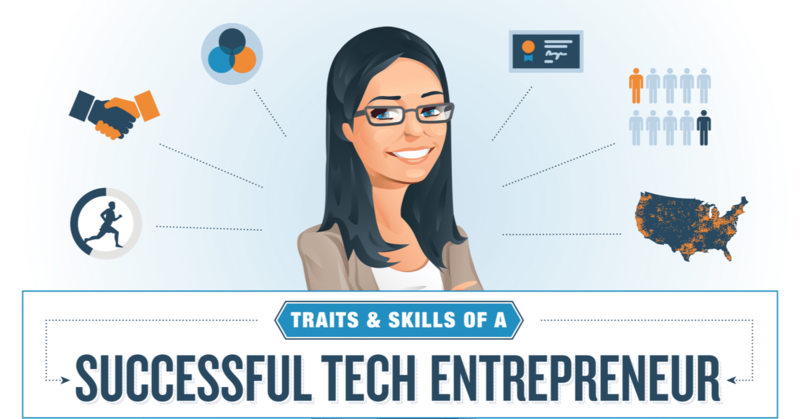 We know that entrepreneurship can be daunting, and that it might not be for everyone. But what’s critical to understand is that the skills and traits you need to succeed are learnable, attainable, and possible. That’s what this infographic is all about. Real people with real skills, building real products, and pursuing real dreams. Pulse detection, along with other Intel® RealSense™ SDK features, are much more subtle streams of information that may one day play as critical a role in your daily life as your keyboard or mouse. Did you know your eyes can tell you how fast your heart is beating? Find out more about pulse detection. From the psychedelic adventures of a naïve worm, to a puzzle adventure game based on the writings of Franz Kafka, to a steampunk RPG, this year’s crop of winners has something for everyone. Many think smart homes have two main stumbling blocks: Not practical and no unified solution. Project Newton, one of Intel’s latest innovation projects, can help mitigate these issues. In Episode 1 of the “Hands-On Workshop (HOW) series on parallel programming and optimization with Intel architectures”, we introduce Intel® Xeon processors and Intel® Xeon Phi™ coprocessors and discuss their features and purpose. The game is a relatively simple archery simulation set in a series of medieval-style environments where players take into account distance, wind speed, and wind direction to hit the bull’s eye. This article introduces Android Memory Management and explains various aspects that play a role in the management system. Additionally, improving memory management, detecting and avoiding memory leaks, and analyzing memory usage are covered. This article describes layout controls provided by App Designer that appear for certain UI frameworks. IoT devices can be equipped with a variety of low-cost sensors that can read temperature, humidity and heart rate making this information readily accessible for the first time in our lives. With the Intel® Edison platform and Intel® Quark™ processors you can easily build prototypes that gather sensor information and create innovative products. This driver adds support for the new Microsoft Windows* 10 64-bit operating system for Intel® 5th Generation Intel® Core Processors and 4th Generation Intel® Core Processors with Intel® HD Graphics and Iris™ Graphics. Experts wrote about their experiences in adding parallelism to their real world applications. The two “Pearls” books contain an outstanding collection of examples of code modernization, complete with discussions by software developers of how code was modified with commentary on what worked and what did not. WhatsApp has issued a software update to fix a dangerous security vulnerability in the web-based version of its cross-platform messaging app for smartphones. The vulnerability in the web version of the WhatsApp used by up to 200 million people could allow hackers to trick users into downloading malware to the PCs, according to security firm Check Point. The web application mirrors all messages sent and received, synchronising a user’s smartphone and PC so all messages are visible on both devices. WhatsApp Web is available for most WhatsApp supported platforms, including Android, iOS, Windows Phone 8.x and BlackBerry BB10. “All an attacker needed to exploit the vulnerability was send a user a seemingly innocent vCard [electronic business card] containing malicious code,” said Oded Vanunu, security research group manager at Check Point. “Once opened, the alleged contact is revealed to be an executable file, further compromising computers by distributing bots, ransomware, RATs [remote access Trojans] and other malware,” he wrote in a blog post. The vulnerability, discovered by Check Point researcher Kasif Dekel, lies in the improper filtering of electronic business cards in the vCard format. Dekel found it was possible to change the file extension for a vCard to .bat, or a batch executable script. This means once the victim clicks the downloaded file – which appears to be a harmless contact card – the code inside the batch file is executed. An attacker only needs the victim’s phone number to send the malicious code and for the recipient to accept it for the attack to work. Check Point has urged users to update their WhatsApp web client to version v0.1.4481 immediately. The security firm disclosed the flaw to Facebook-owned WhatsApp on 21 August 2015 and WhatsApp released an update for Web clients six days later. Check Point, which waited another 12 days before disclosing the vulnerability publicly, has praised WhatsApp for its quick response. “We applaud WhatsApp for such proper responses, and wish more suppliers would handle security issues in this professional manner. Software suppliers and service providers should be secured and act in accordance with security best practices,” said Vanunu. The issue of responsible vulnerability disclosure was highlighted recently by two security researchers who disclosed vulnerabilities in Kaspersky Lab and FireEye products publicly before notifying the two security firms. While both companies thanked the researchers for finding the vulnerabilities, FireEye said that while it appreciated the efforts of security researchers to find potential security issues and help FireEye improve its products, the company always encourages responsible disclosure. However, security researcher Kristian Erik Hermansen has taken issue with FireEye for allegedly not responding to his findings sooner. “What frustrates me is they are all ears now, when they ignored the issues for a long time,” Hermansen is quoted as saying by CSO Online. “When they implement a bug bounty or security rewards process, I will reply to them. Until then, they get cold silence. They have been giving me lip service about implementing such a program for more than a year. Let them announce it publicly and then I will talk to them again. I’m sure there are lots of other bugs in their products not yet disclosed,” he said. Hermansen is currently asking $10,000 for each of the four zero-day vulnerabilities he claims to have found. Independent security consultant Graham Cluley said as a security researcher, Hermansen should realise his actions are bound towards helping users remain safe online. “The manner in which he has conducted himself since announcing the four zero-day vulnerabilities suggests he is primarily interested in personal gain,” Cluley wrote in a blog post.